Through this scheme we engage small-holder farmers by supplying them with necessary input, technical support, advisory services and capacity building to improve and increase their yields. ABROT either link these farmers to other off-takers or buy the yield from them at prevailing market price; we then process and package for sale in the market this makes the business sustainable as we are able to generate revenue. Engaging African youth in agriculture is a prominent initiative, with most young people – around 85% – living in developing countries, where agriculture is likely to provide the main source of income it is vital that young people are connected with farming. 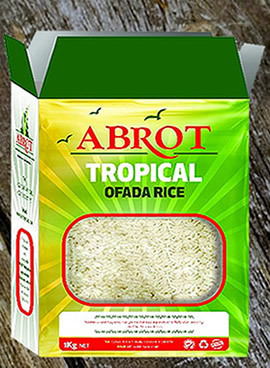 ABROT is engaging with young people in both rural and semi-urban areas in agriculture by providing supports to motivate and encourage the youth. Rural youth are the future of food security, though the face many hurdles in trying to earn livelihood engaging them in agriculture will reduce rural-urban migration. We also work with potential investors (be it corporate or individual) who are interested in agriculture by providing technical advice and helping them set-up farms in their location of choice while we also have the capacity to help operate, manage and monitor the farms. We engage with government, regulators, service providers and players within the agribusiness space, advocating for better policies and supports for the development of the agricultural sector. We also relate with development finance institutions (DFIs), banks, local investors in attracting investment into the agriculture. We take interest in the prosperity of our farmers and investors, hence we look for opportunities to bring these small-holder farmers together as cooperatives in order to access funding.